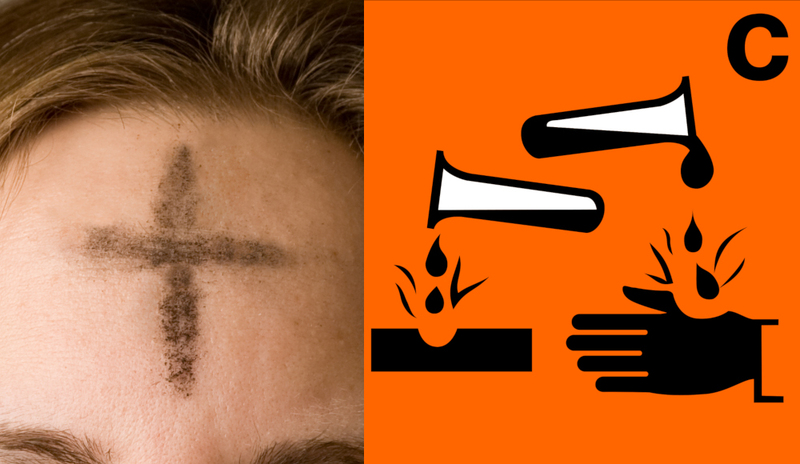 Between 73 and 100 students (as well as at least 17 teachers and administrators) from St Augustine’s Catholic High School in Redditch, England received chemical burns to their foreheads from "toxic ash" used to mark them as part of a Catholic ritual on Ash Wednesday. The toxic substance was "sourced from a priest from the Diocese of Birmingham, which sourced it from a company in Aldridge." The burns are quite disfiguring and may result in lifelong scarring, according to doctors who treated some of the affected pupils at a nearby hospital. A spokesperson for the school said: ‘During the Ash Wednesday service for Year 9 and Year 11 students, it came to our attention that discomfort was experienced by some students that had received the ashes on the forehead. ‘As a result, all students were requested to wash the ashes off immediately to ensure no further discomfort was felt. Any further distribution of ashes immediately ceased. ‘The school is dismayed by this event. In total, 73 students, 16 staff and the Chair of the Governors have been affected to date. Those impacted were administered on site by trained First Aiders and then advised to seek further medical attention. ‘An investigation has started and the ashes are being analysed by external experts. A subsequent report will be made available to all stakeholders and any recommendations will be actioned accordingly.